All pictures by Chaz Boston Baden, with Selina Phanara. Copyright Chaz Boston Baden. Click on a photo and use the comment/caption mechanism to send a message to ask about permission to use. Kim, Colleen Crosby and wedding dress. pat087 Eric Larson, Pat Larson. 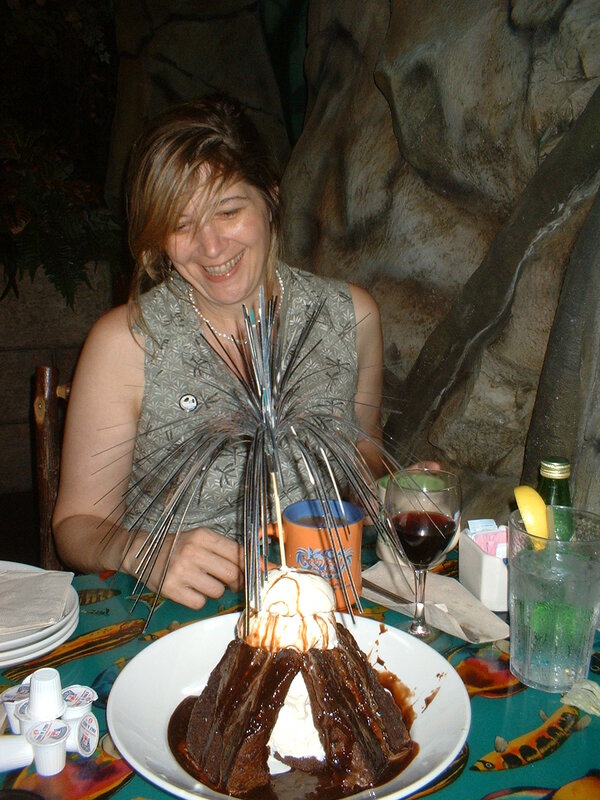 Lynn Baden looking up at the special effects in the Rainforest Cafe. 1987-05 (lost: selina010.jpg), 1987-06 high-res image, 1987-07 (lost: selina012.jpg). 1987-08 (lost: selina013.jpg), 1987-09 (lost: selina014.jpg). Lynn giving Selina Phanara a big ol' hug.